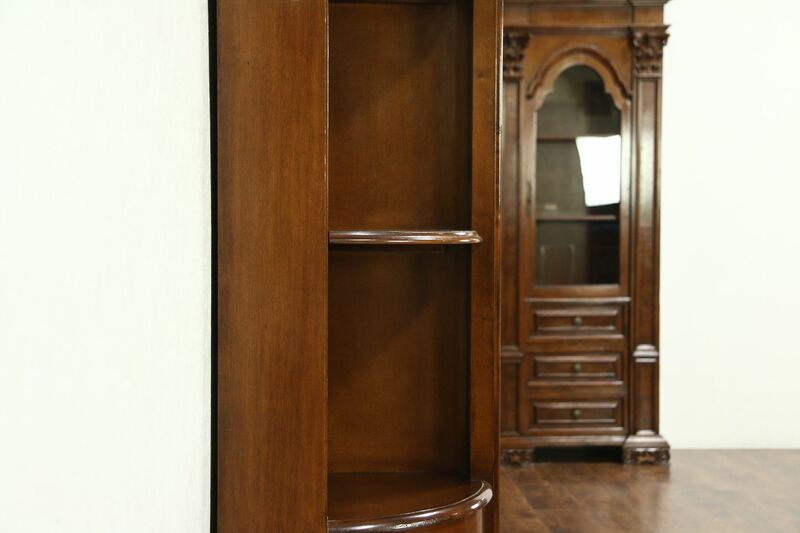 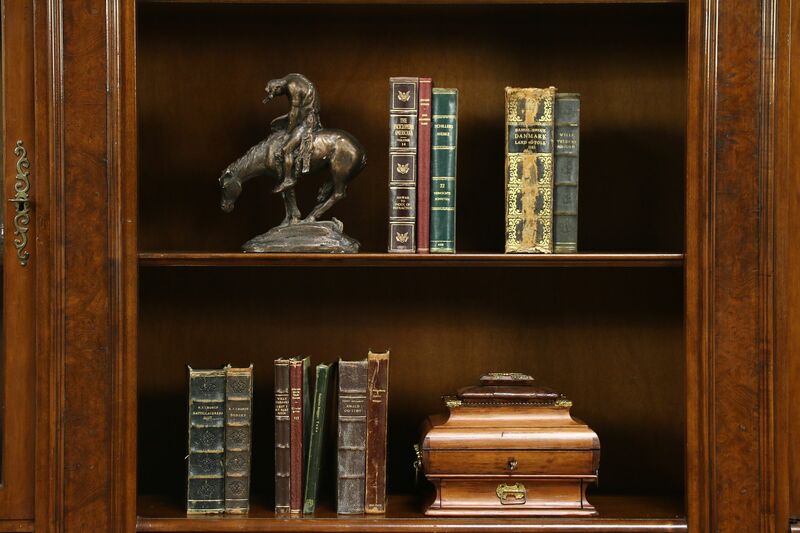 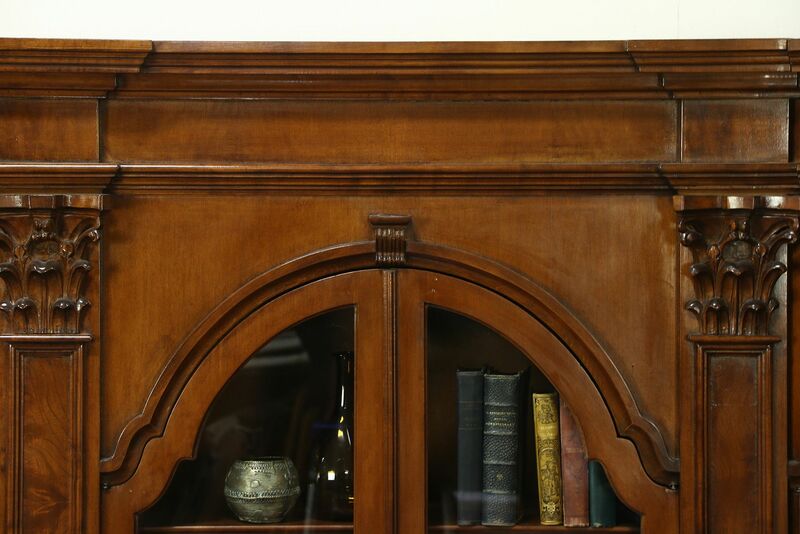 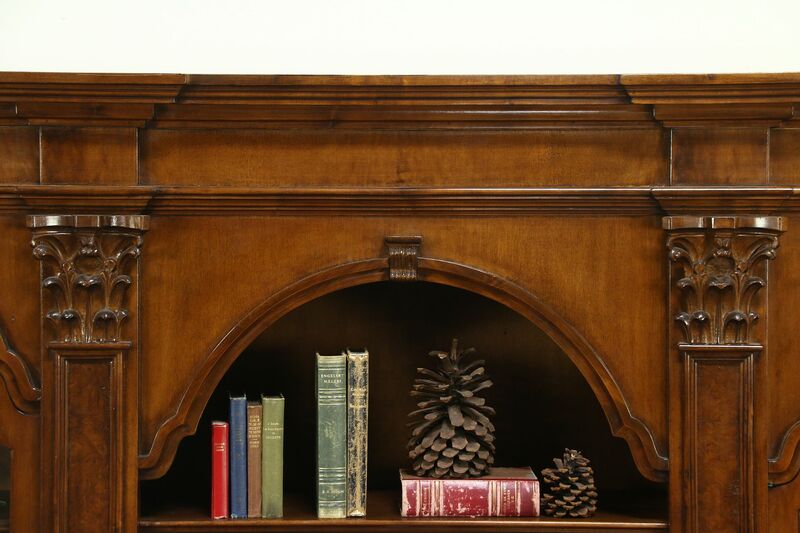 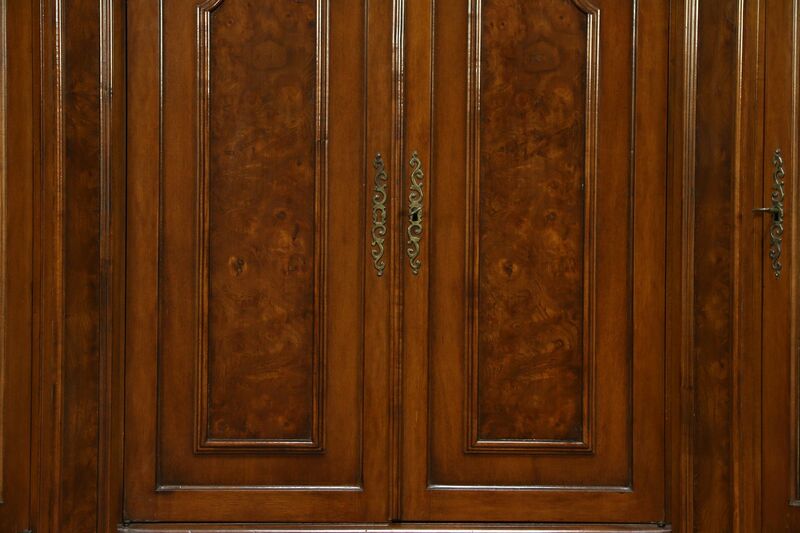 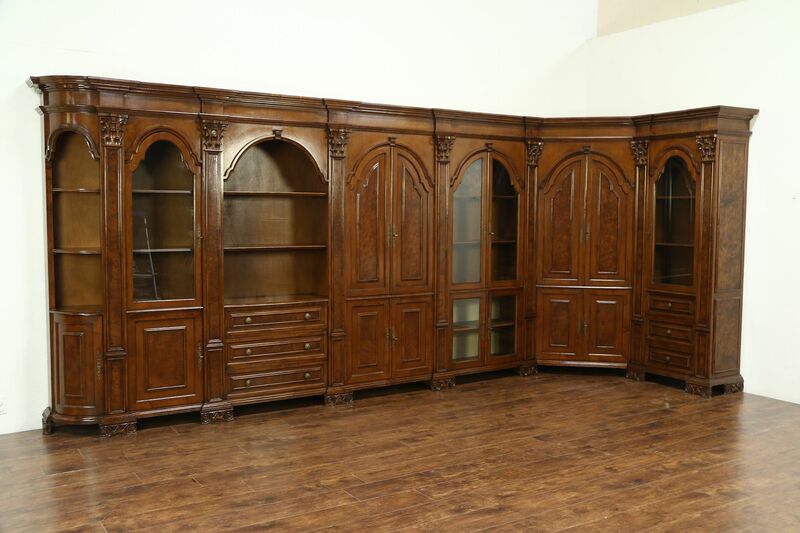 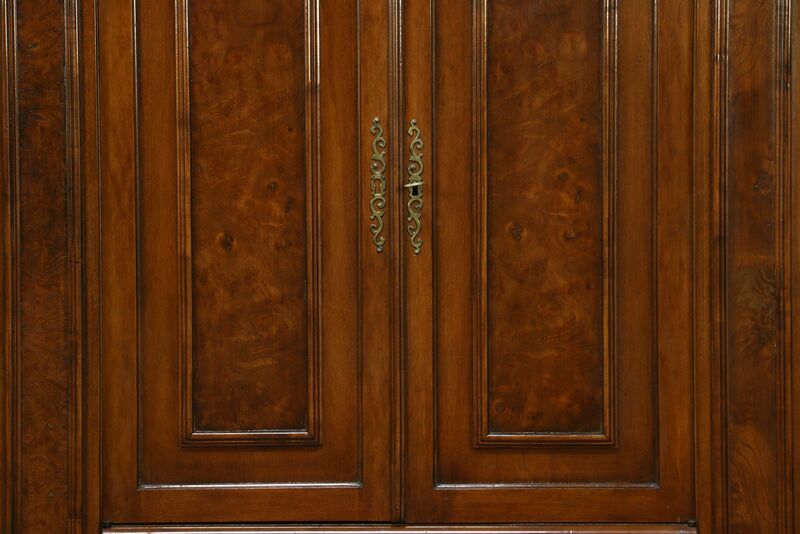 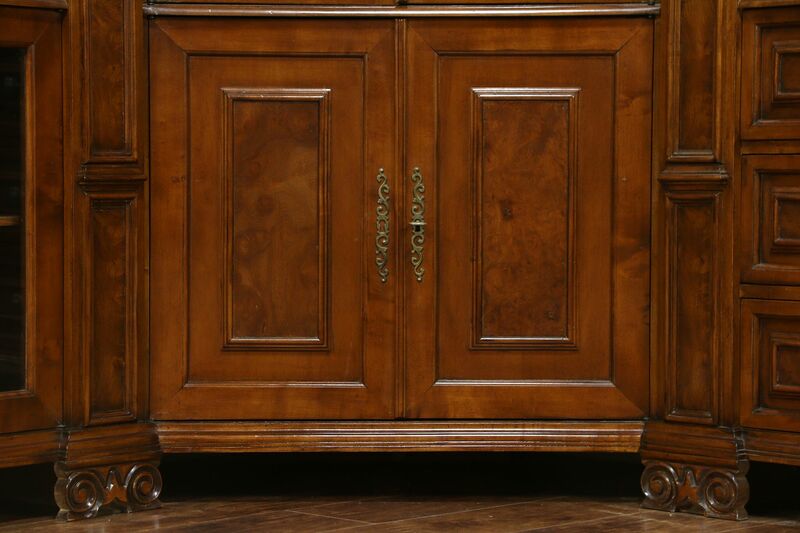 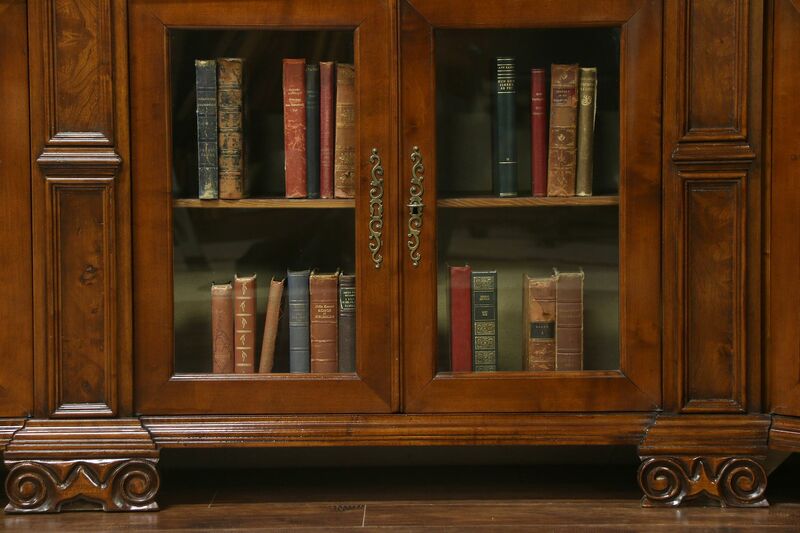 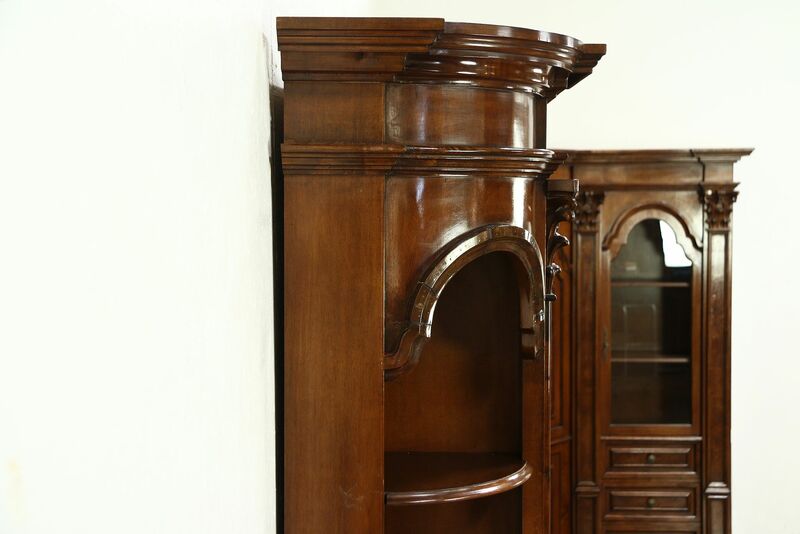 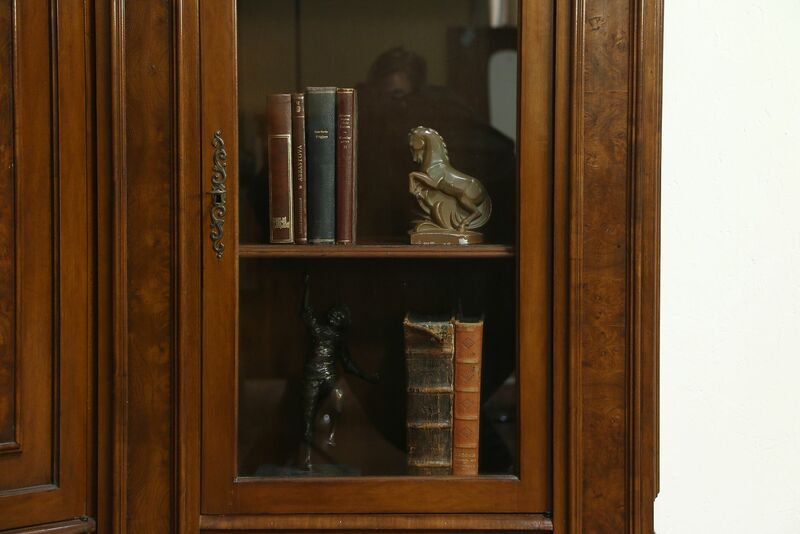 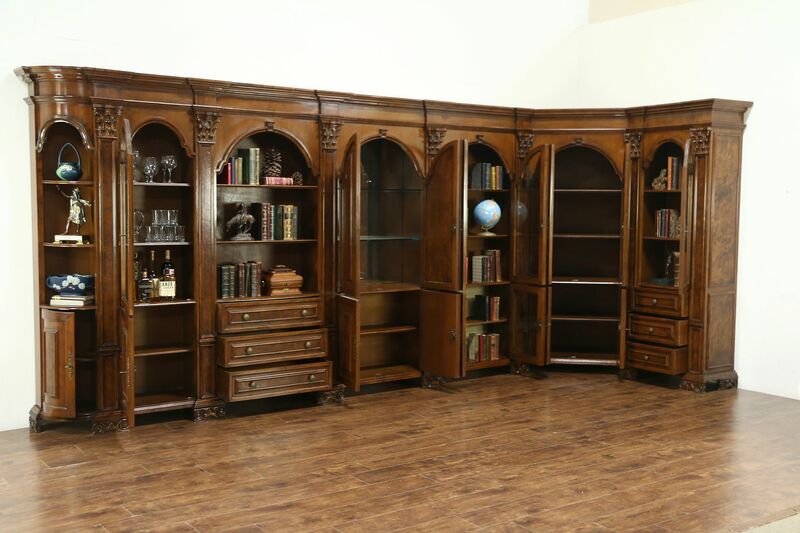 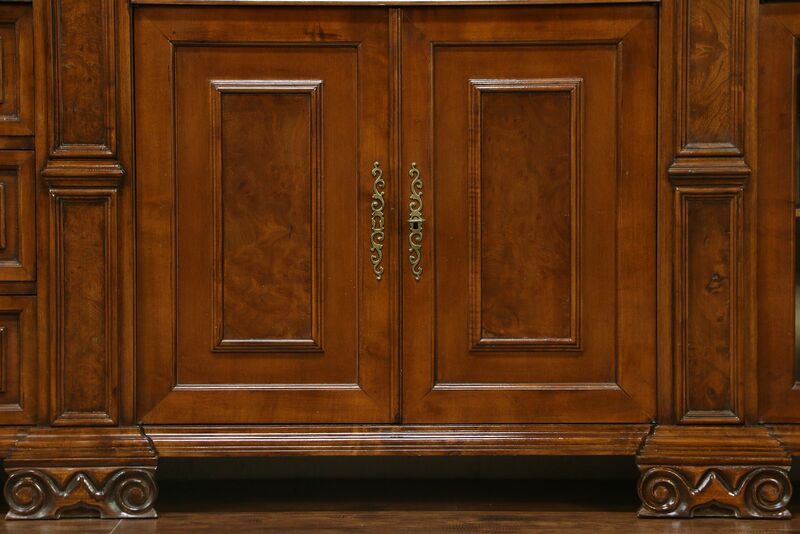 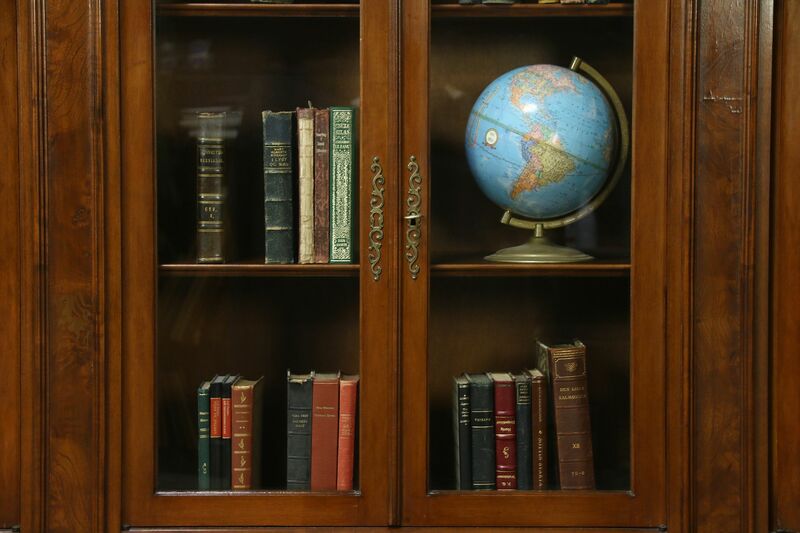 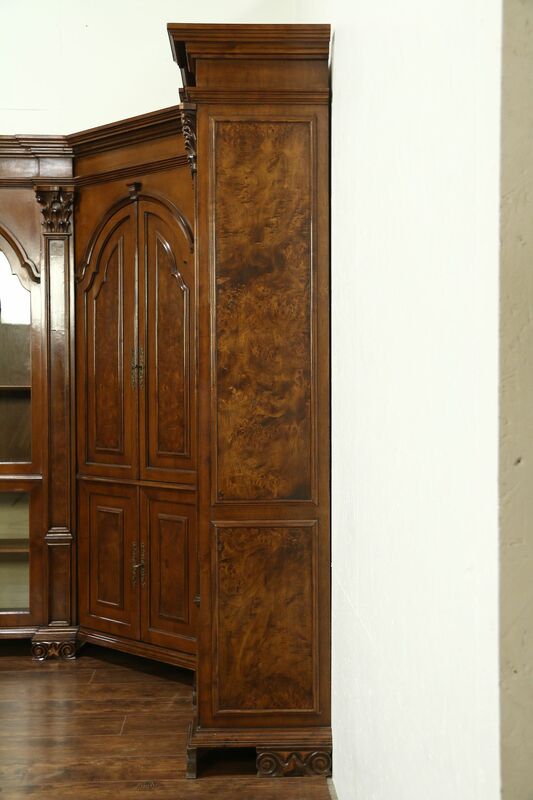 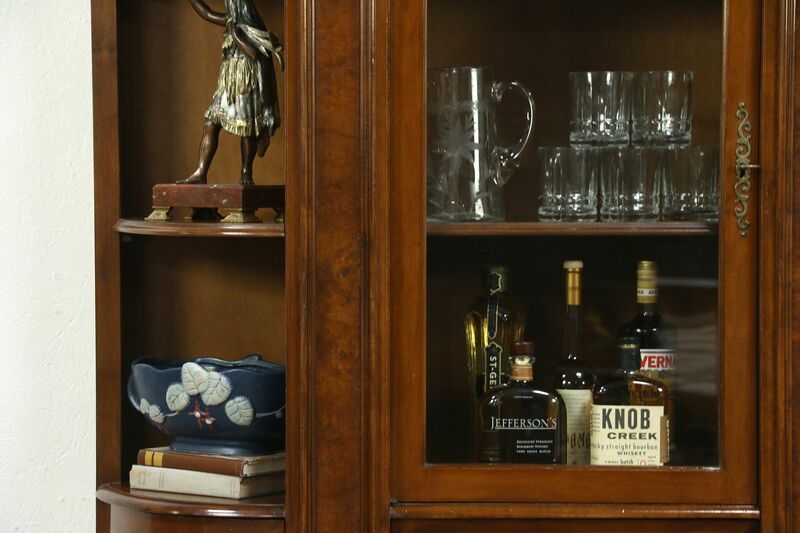 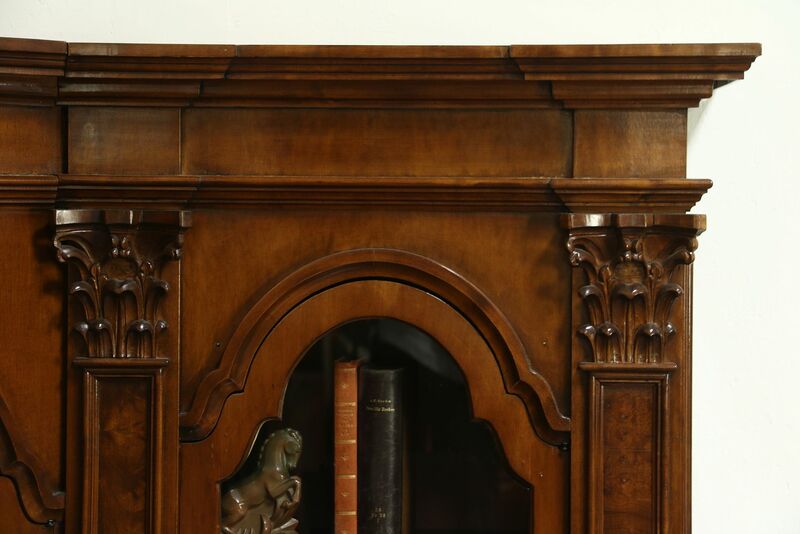 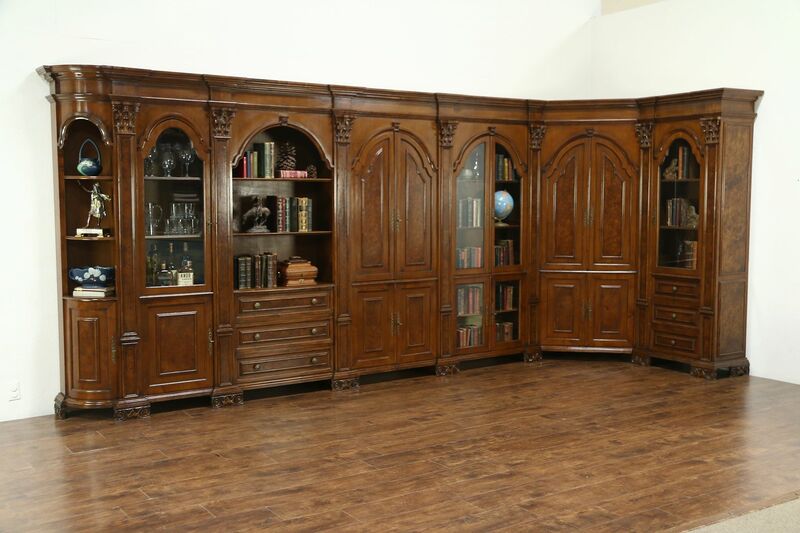 A spectacular library cabinet with bookcases and a bar cabinet is "L" shaped, to fit the corner of a room. 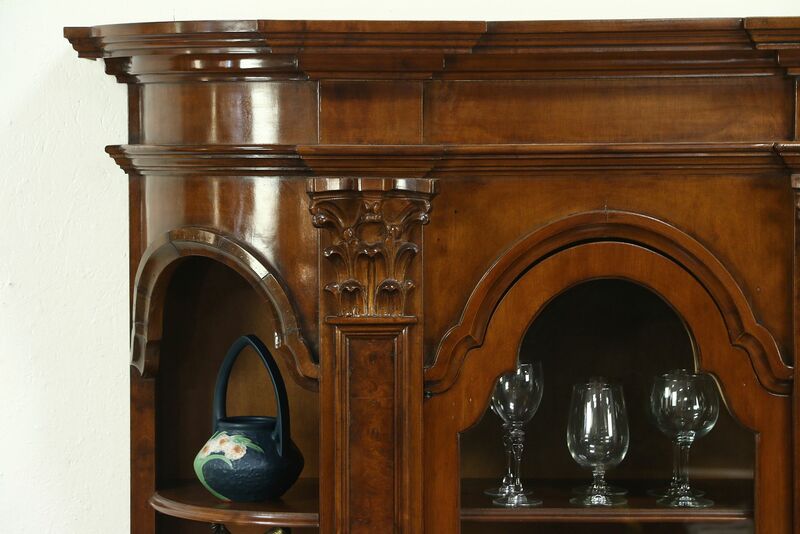 Six separate sections were hand carved of walnut with matched burl panels in the Renaissance manner about 50 years ago in Italy. 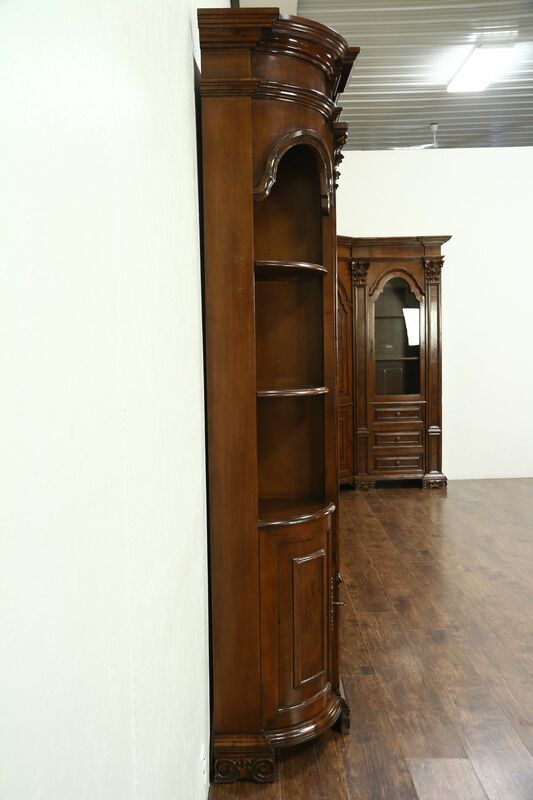 Original cost was $74,000. 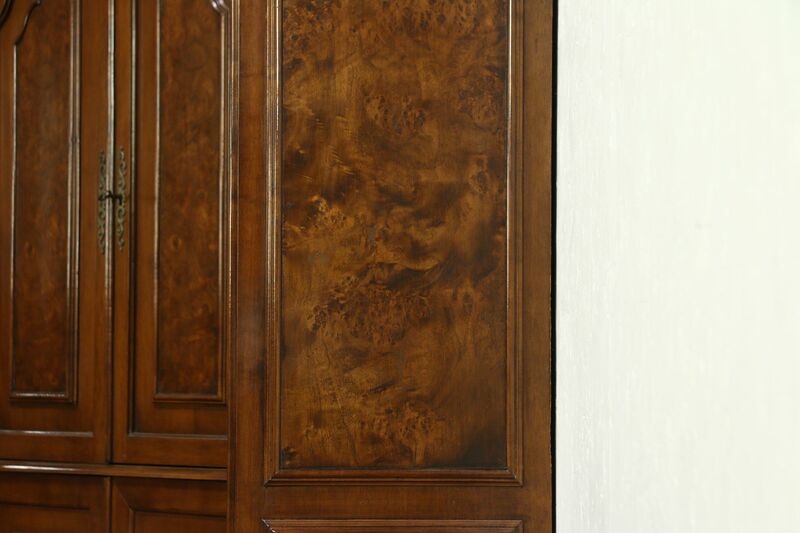 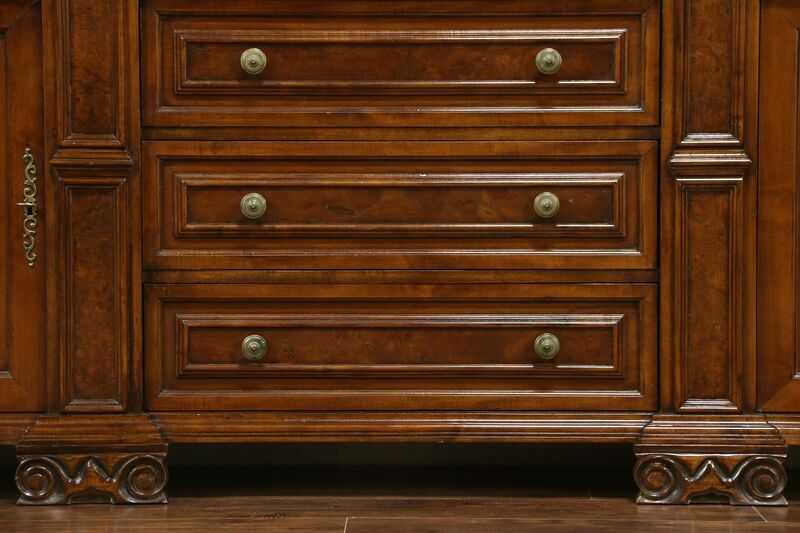 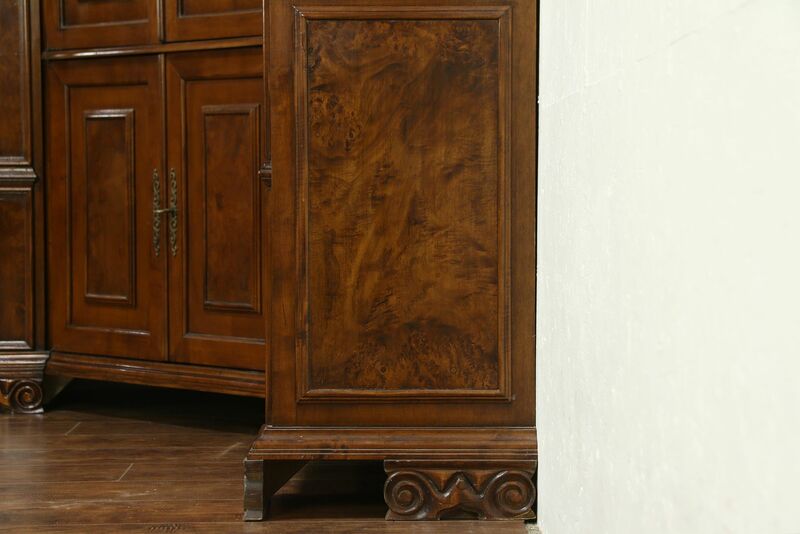 The original finish is in extremely fine condition, with a few irregularities for character at the joints, edges, and in the burl panels, as is typical. 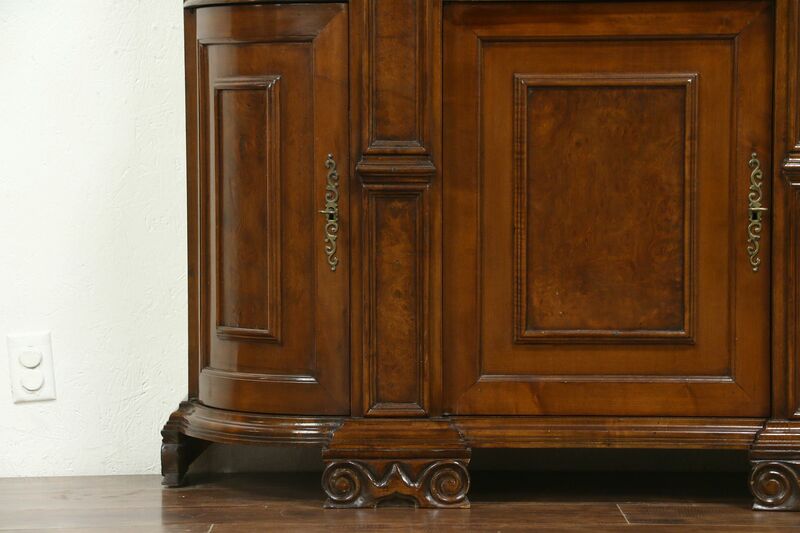 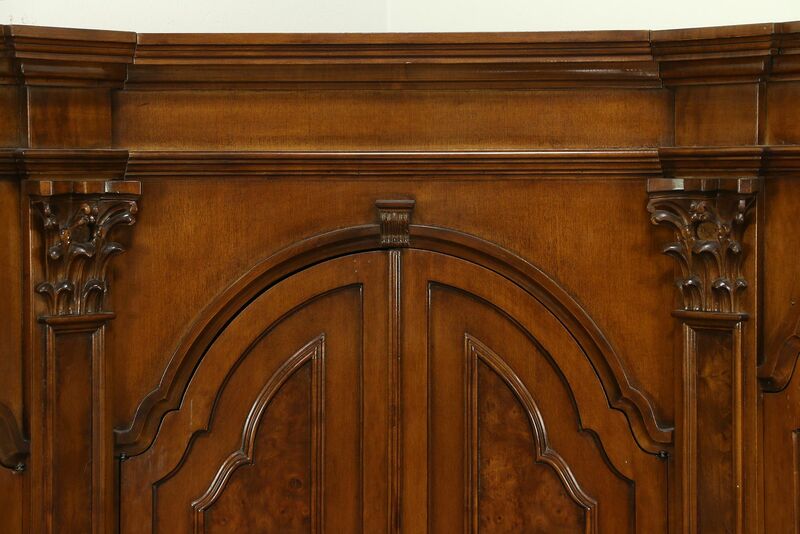 Custom made for a Chicago penthouse, columns have deeply hand carved capitals. 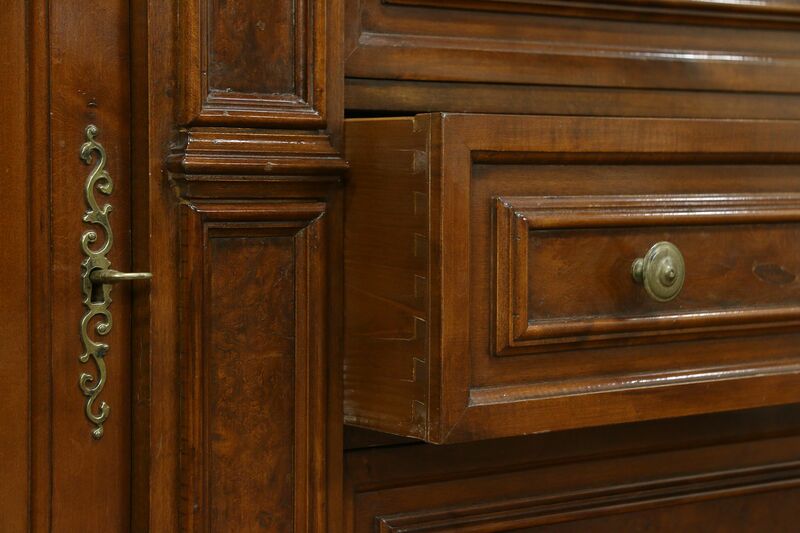 Locks and keys work, hardware is original. 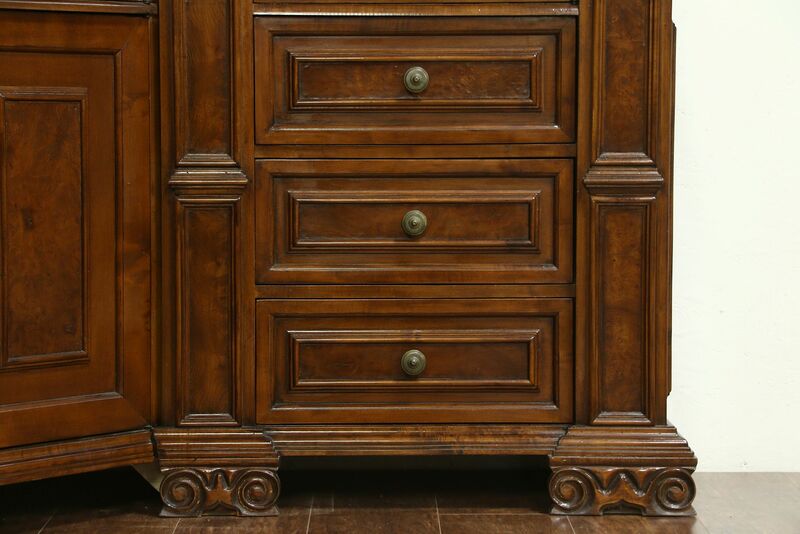 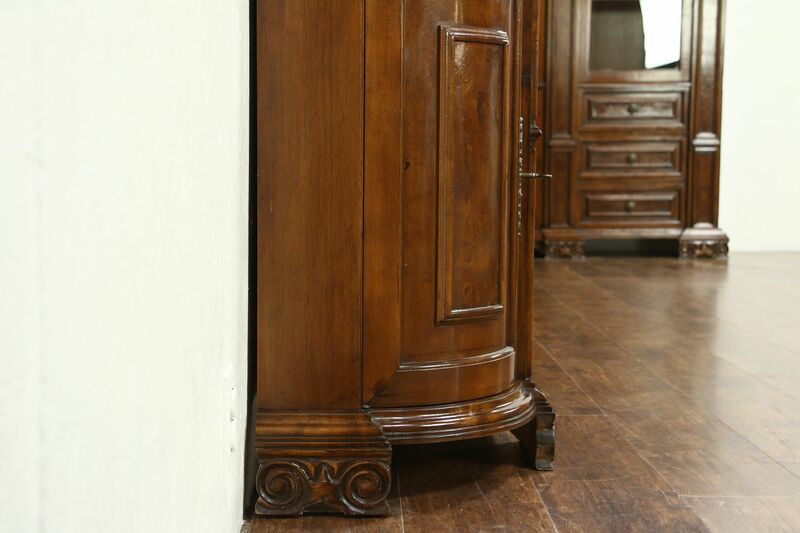 Six separate sections allow easier moving on this classical vintage furniture. 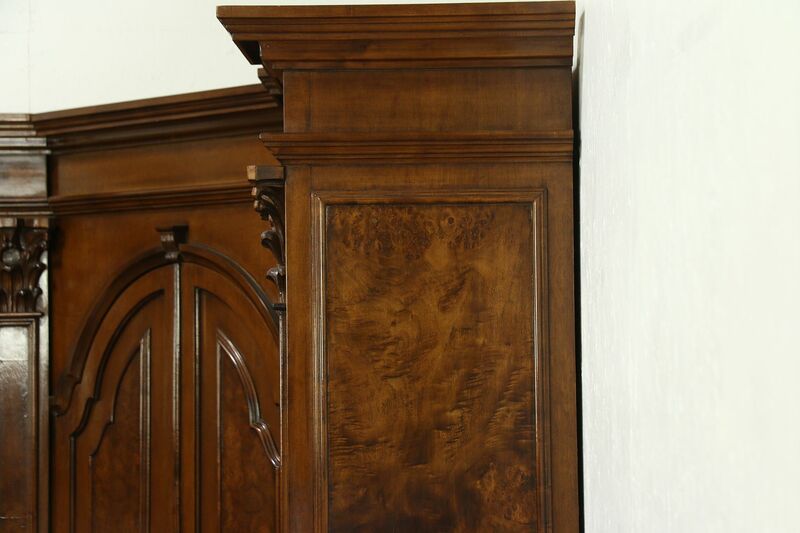 The configuration cannot be changed without significant carpentry, the overlapping crowns and unfinished sides must be set up as shown and bolted together. 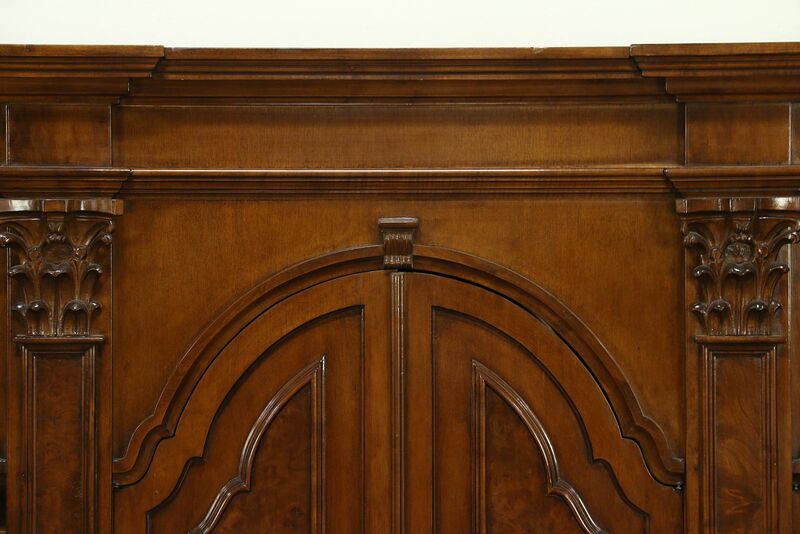 Dimensions to the tips of the crowns are 16' long, the short side is 6' long, depth is 19" and height is almost 7' 3."